Here the hypothesis of the previous chapter is questioned about a determinative influence of central Africa on Egypt and ancient Greece. It recalls the “black Athena debate” that raged for a while in the United States, discussing, among many other matters, the meaning of the so-called “multicultural” mathematics. Still, the last word is left to an uncontested authority in the history of mathematics, J. Struik (Mass. Inst. 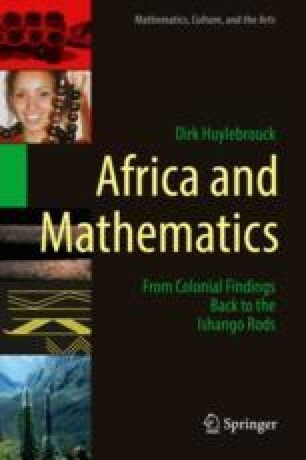 of Technology), who quoted Molière’s “bourgeois gentilhomme” about his ignorance that he “spoke in prose”: maybe the “bourgeois colonizers” do not realize until today that Africans did mathematics?